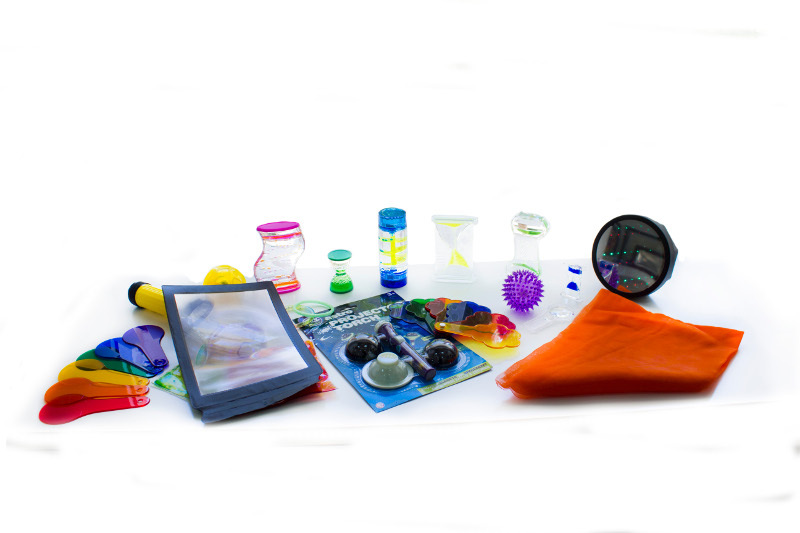 Be mesmerized watching the many dramatic effects provided by the contents of this Exploration Bag. All visual stimulating whilst encouraging concentration and providing fun rewards. Supplied with a handy storage bag. 2 x Oozy Gunge Tubes. 3 x Liquid Visual Timers. 1 x Giant Oozy Gunge Tube. 3 x Jump Bean Timers. 3 x Light Up Eyes. 3 x Dinki Glitter Tubes. 1 x Spiral Glitter Tube. 1 x 4 Colour Liquid Timer. 1 x Shake n Shine. 1 x 6" Spiral Liquid Timer.